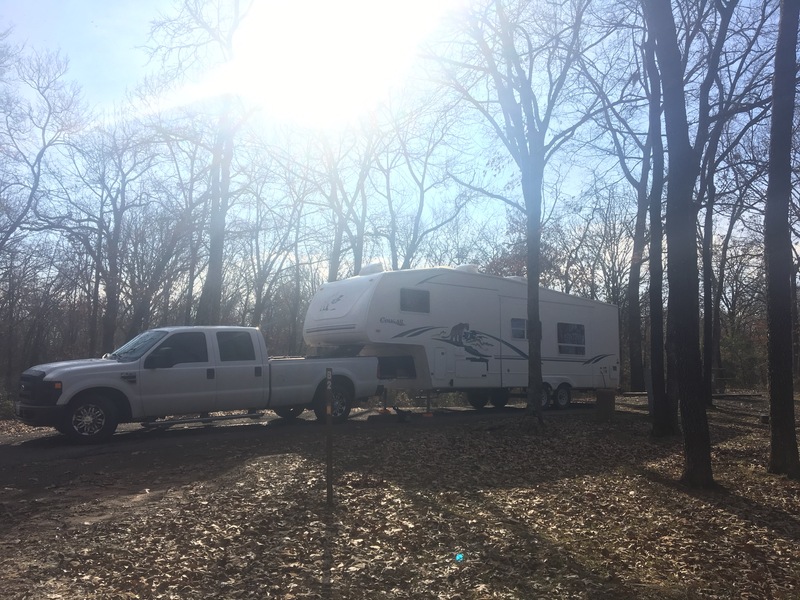 After a wonderful, long holiday season on my family’s property and then an extended stay with great friends, we decided a family weekend was in order. 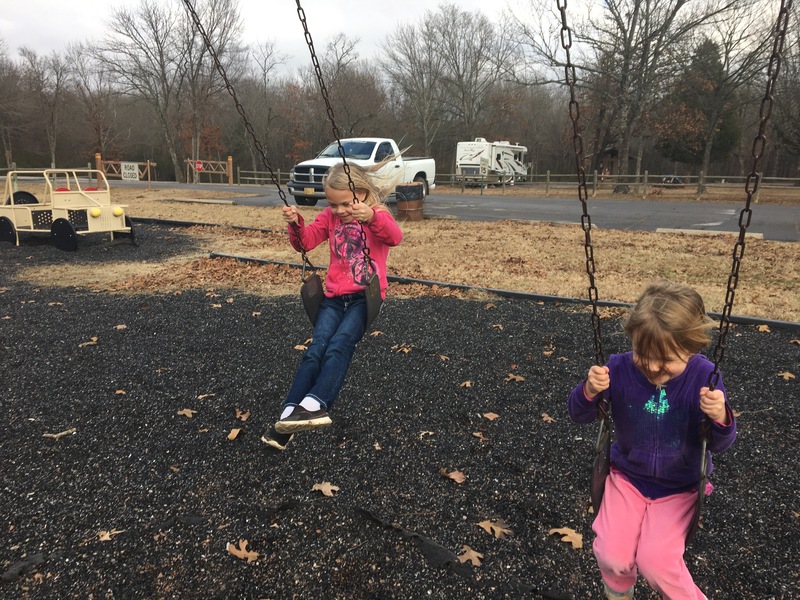 We found a great COE campground near Ft. Smith, Arkansas to spend a few days, as Coral put it, “like our old life when we just lived in campgrounds instead of people’s yards”. 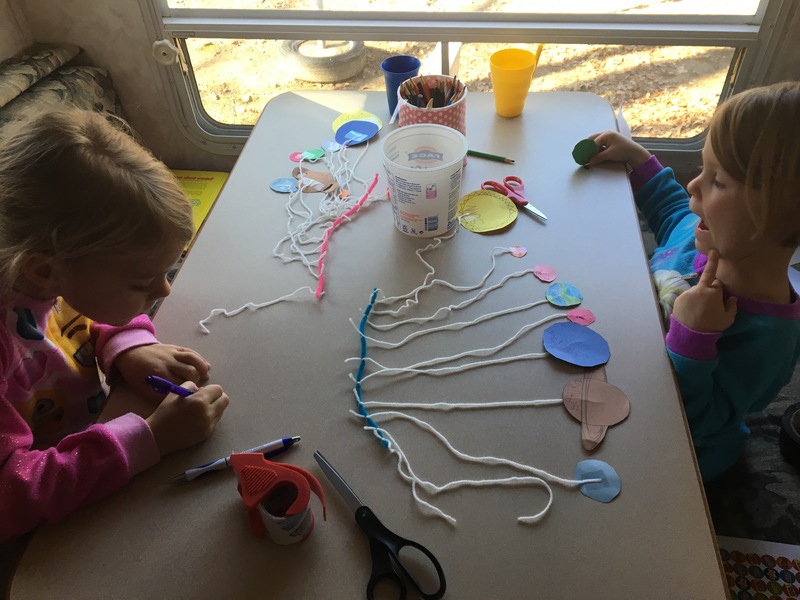 It’s amazing how full circle I have come – in September and October I had begun to think that I had made a mistake by committing to spend 24/7 with my two rambunctious kiddos in a tiny space for a year, but fast-forward 5 months and I’ve become so accustomed to it being just the 4 of us all the time that I miss the Fitzgerald Flow. I think one of the very best parts of the entire adventure so far is all of the family time that we’ve enjoyed. So many family game nights. Countless hours in the car. Bedtime and mealtime routines that don’t get interrupted by a lengthy list of other commitments. It’s been an irreplaceable gift. 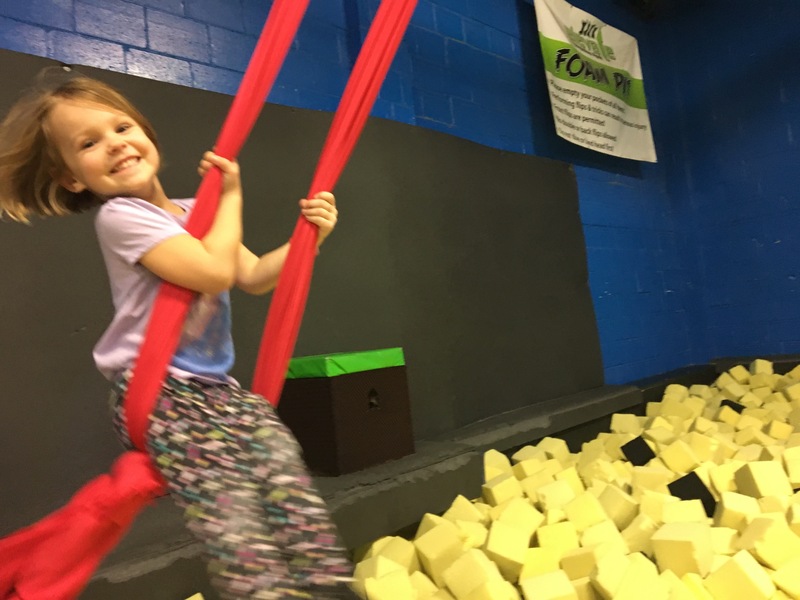 Since we knew the negative experience was wholly because of the hosts, we gave COE another try, and we’re so glad we did! It was the perfect park for our family weekend. Large spaces with lots of natural space in between, a playground, and friendly hosts. After quite a few cold, wet days, an afternoon warm enough to play outside was a welcomed joy! 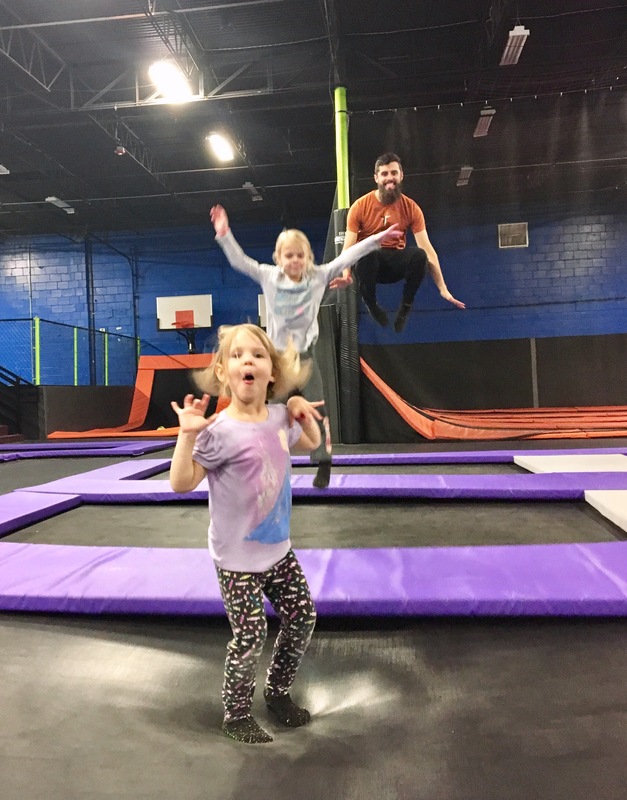 A local friend let us know that Ft. Smith had a trampoline gym. I’ve ALWAYS wanted to visit one of these! 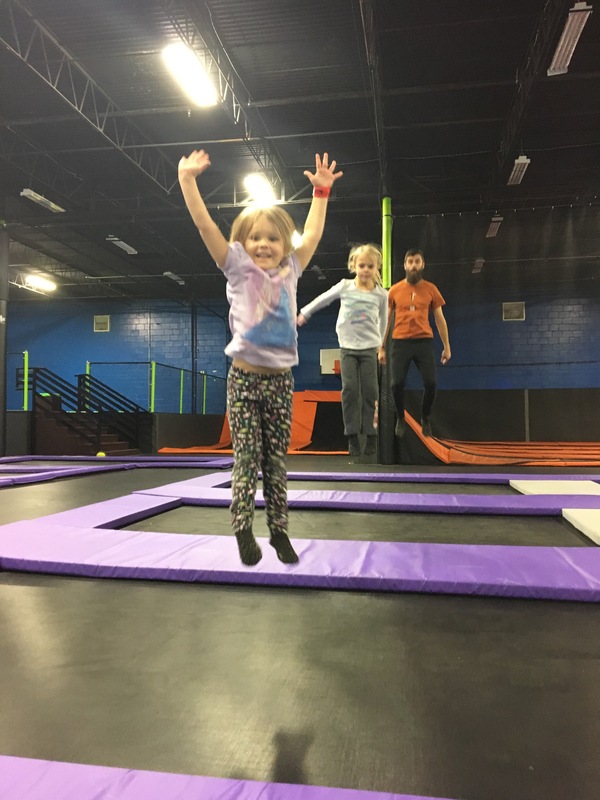 They had a special deal for families on Thursday nights, so after dinner we surprised the girls with an hour of bouncy fun. I guess we timed it right arriving about 80 minutes before closing time, because we paid for an hour but got to stay until closing time. And for the final 30 minutes we had the entire place to ourselves! 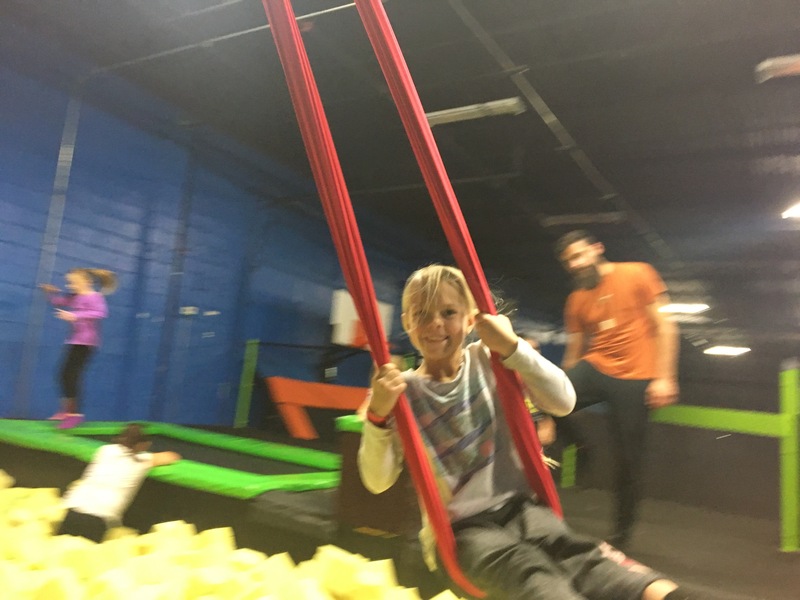 We played family dodgeball, did slam dunks in the air, bounced and flipped and jumped against walls, laughed, swung on fabric ropes, jumped into foam, got sweaty, laid breathlessly on surfaces that smelled like feet, and laughed some more. 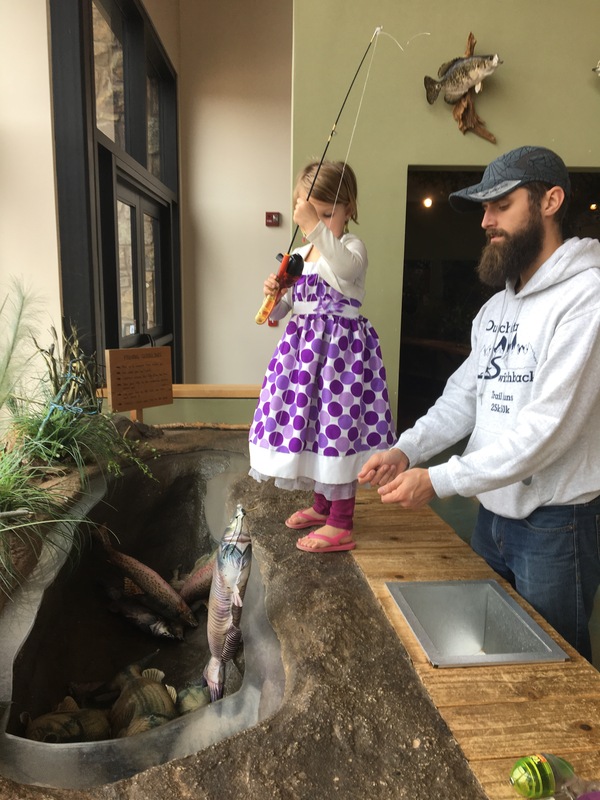 It was a GREAT way to splurge on some winter time family fun. On Friday we did some homeschooling, some grocery shopping, and had a family game night. 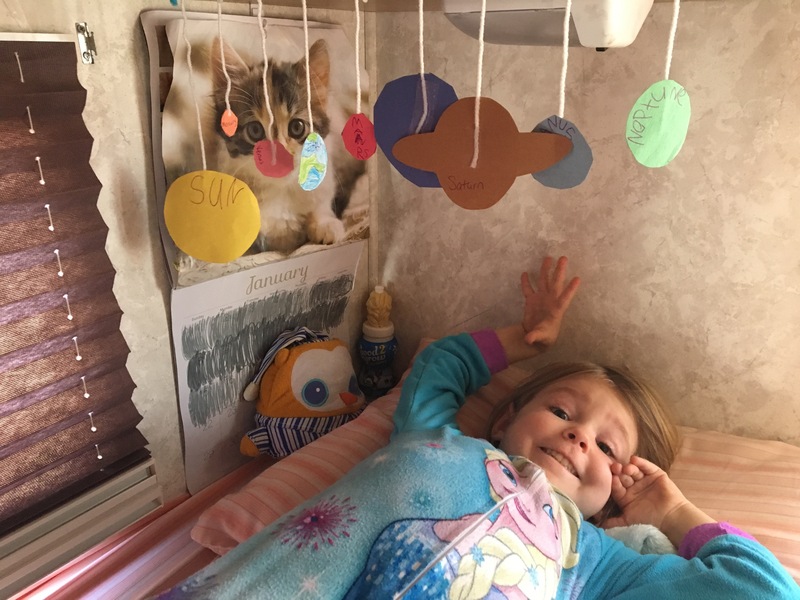 Solar System…mobile? It doesn’t move, so I’m not sure what we created. They both insisted that we include a tiny Pluto, even though it’s just a dwarf planet these days. On Saturday Mimi drove over to spend part of the day with us. 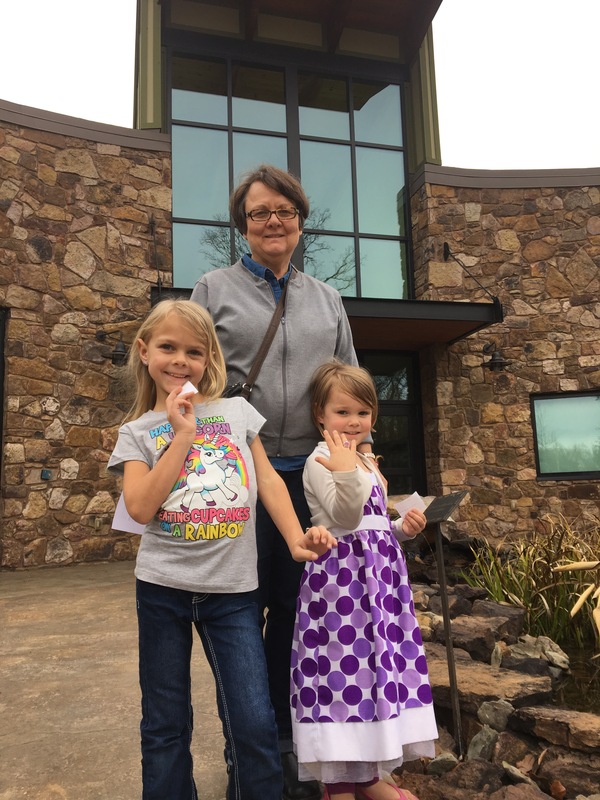 We visited the Janet Huckabee Arkansas River Valley Nature Center to learn about all of the plants and creatures of the Natural State. 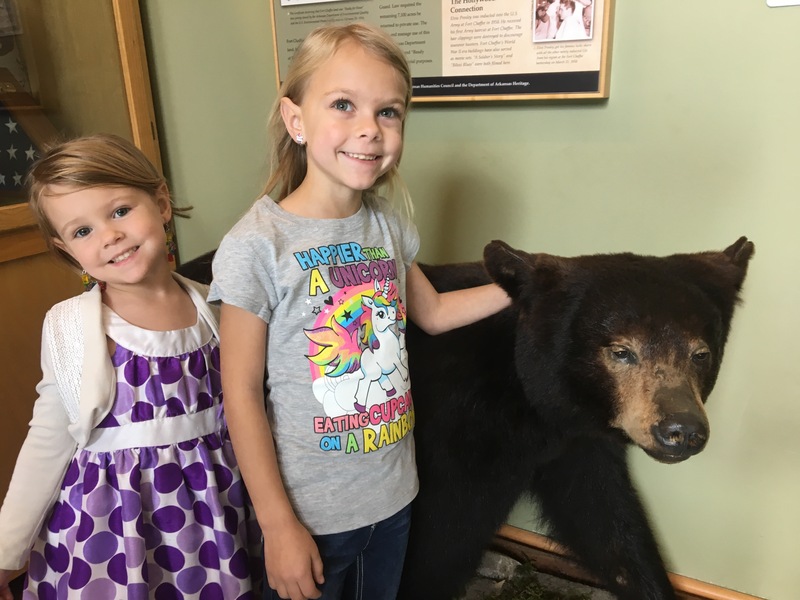 Another nature center…another stuffed bear. My little dear. We’ve been learning lots about the difference between antlers and horns. Do you know the difference? Fishing practice, modified for current body height limitations and the fact that most of the magnets on the fish mouths weren’t strong enough. So fun to have Mimi along for the fun this time! 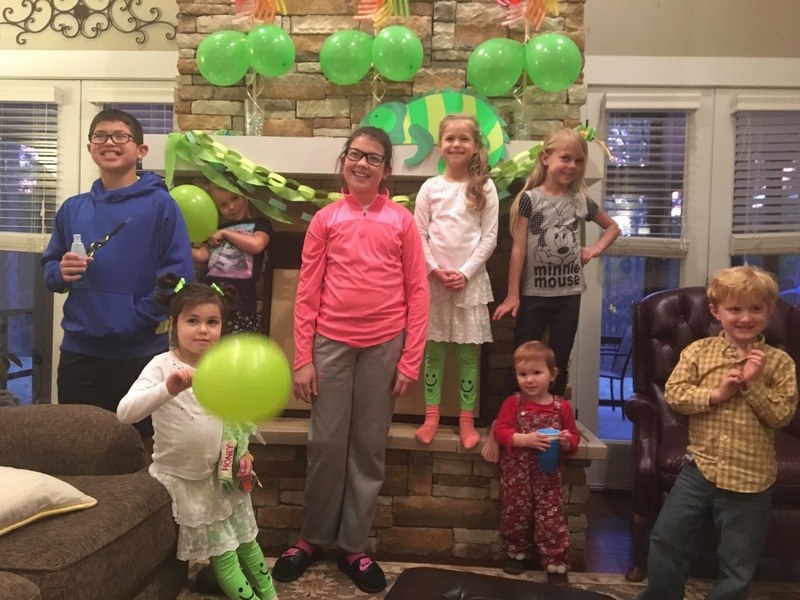 Then on Sunday we had the honor of an invitation to Lucy’s birthday party in Oklahoma. Since we were so nearby we were able to accept! On Monday when it was time to roll out, we were sad to tell this site goodbye. It was exactly the kind of restful, family weekend that we’d hoped to find. yay for Pluto! dwarf-smorf. it’s my favorite planet. I felt refreshed just reading about your fun, relaxing weekend. Thanks for sharing! 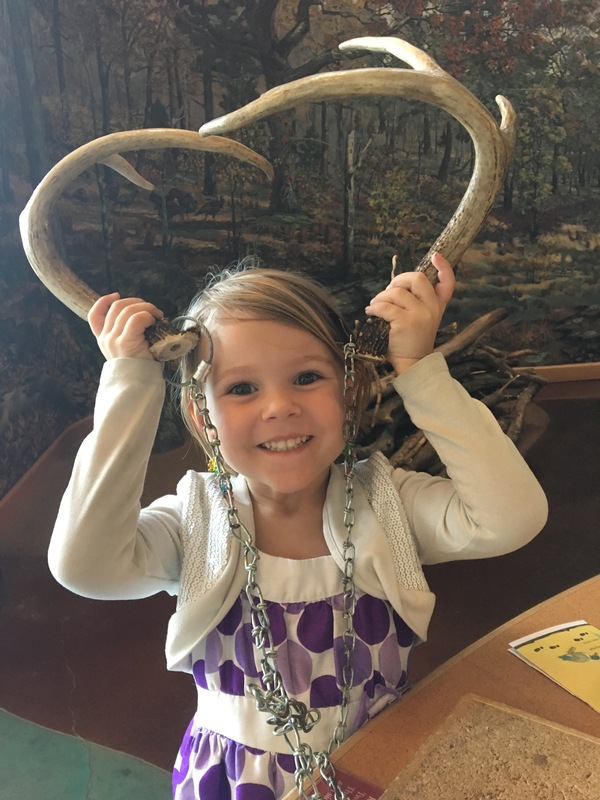 Are horns permanent and antlers aren’t? 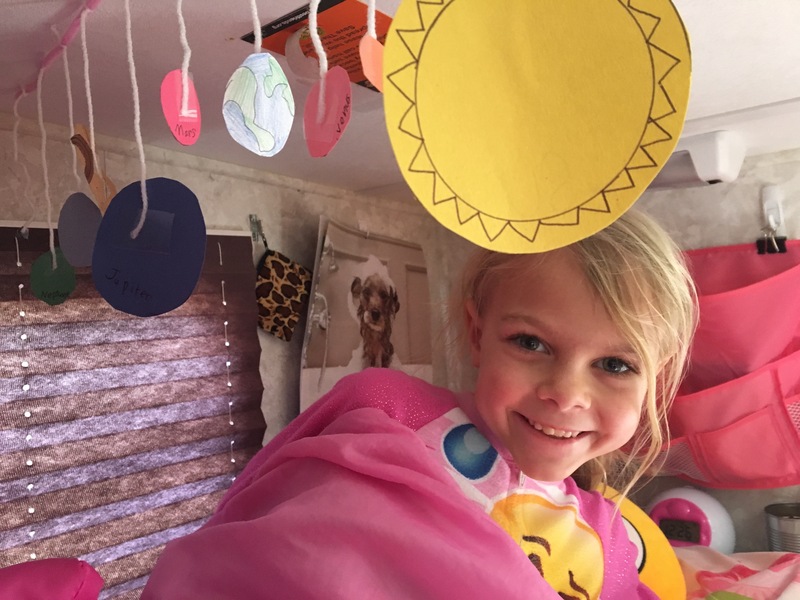 I love reading your about your adventures! Judy looks great!